Hortus Camdenensis | Centaurea americana Nutt. Annual with thin, lance-shaped, usually entire leaves and rose to purplish or white flowerheads, to 7.5cm across. To 90cm. [RHSD, Hortus]. Introduced to Britain in 1824. [JD]. FS f.327/1848. Centaurea americana Spreng. 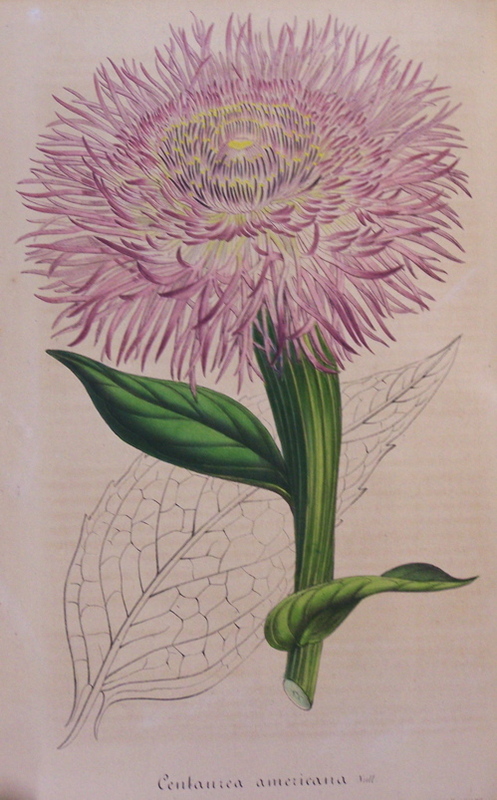 (1824) = Centaurea melitensis L., from Europe.